PL 2010-05-28 119,90 PLN ? Alpha Protocol is a third-person action RPG developed by Obsidian Entertainment and published by Sega for the PlayStation 3, Xbox 360 and Windows PC. The PC version is also available for download on Steam. The Windows PC version used a custom DRM system in which the promise of a patch to remove the DRM after 18-24 months was made; this was fulfilled with an update patch in October 2011. It is unknown if other titles have this DRM method. 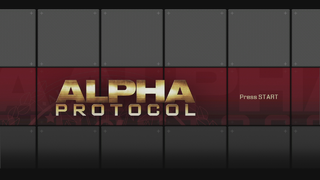 Main article: Alpha Protocol/Magazine articles.